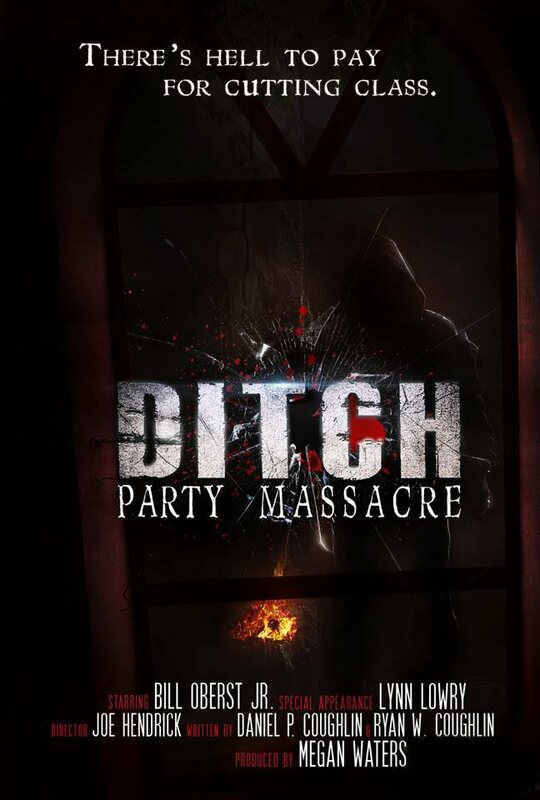 First Poster & Images From Joe Hendrick's "Ditch" - sandwichjohnfilms First Poster & Images From Joe Hendrick's "Ditch"
First Poster & Images From Joe Hendrick's "Ditch"
Director Joe Hendrick has recently completed principal photography on his slasher film Ditch. Now, the first stills from the production have been released. The stills feature central actors Katy Foley and Bill Oberst Jr.
Fresh from post-production, here come the first screen captures from Ditch, a feature length horror film starring Katy Foley and Bill Oberst Jr. In the film, Katy plays Jenny, a girl with a dark and disturbing past. As well, actor Bill Oberst Jr. plays a man from Katy’s past who has a score to settle - with an axe! 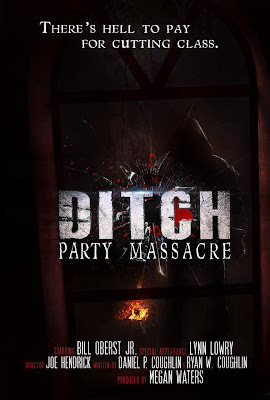 Ditch's lead cast includes Bill Oberst Jr., Katy Foley and Zach Silverman, with a special appearance from horror cult icon Lynn Lowry (Cat People, The Crazies). Oberst says the film will be "something different in horror; it is a brutal film with plenty of sizzle and blood, but it also has a surprising amount of heart and real characters that you will care about. I am proud of what we did and I am honored to have been a part of it." This actor says a highlight for him was working for the first time with Lynn Lowry, with whom he says his character has "a bit of a sensual post-mortem moment" with. "Jenny Bilson, a high school senior, is the perfect student, a wonderful daughter to a veteran police detective and an all American Dream. But the one mistake she made, which she doesn't even know that she made, is about to haunt her in a very violent way. Throwing a high school 'ditch party' will end up being one HELL of a mistake! Her past returns to exact revenge on Jenny and anyone else who might get in the way." Justice League Story Line Revealed? MAN OF STEEL Trailer #2. Do You Believe? Knife Fight Review. Is it Worth Your Money? Trailer For M Night Shyamalan’s "After Earth"